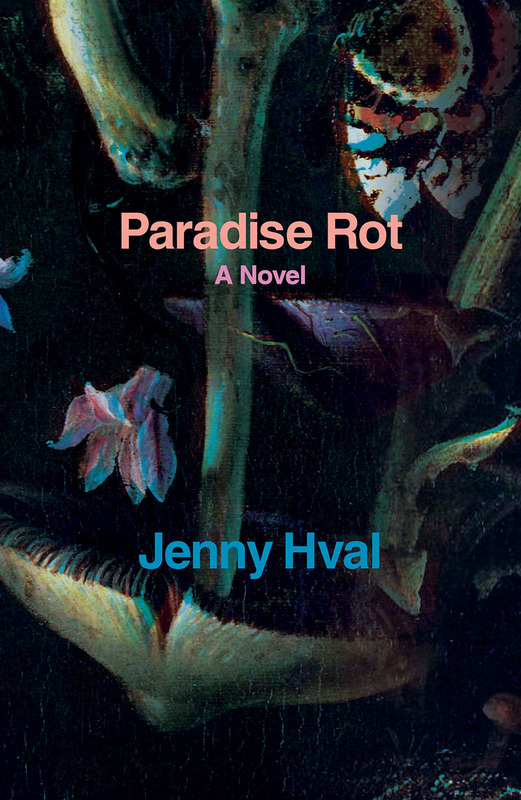 An exclusive excerpt from Jenny Hval's debut novel, Paradise Rot. That was how winter came to Aybourne: rotting seaweed dried and crumbled to frozen yarn-lumps down by the beach. From the window spot on the mezzanine I saw the car park empty and fill, then empty and fill up again, and the passengers waiting at the tram stop thicker coats and more layers. The high street in town was decked with fairy lights shaped like snow crystals. But the snow didn’t come, like in Norway and, from where I sat, the window frame seemed more and more like the frame around an old faded photograph: the grass outside yellowish brown, the tree trunks grey and the sky white. Even the laundry on the clotheshorse lost its colours. Once I was certain I’d seen Pym down on the road, but each time he turned toward me his face looked washed out and empty. As winter settled in outside, we were set upon by summer inside the brewery, as if the walls separated not only the inside from the outside, but divided two different climates. On the floor grass grew along the furring. Yellow moss patches grew from the cracks in the cement. White spiders spun shining fur around the beams and, because of a spreading layer of greenish white mould, the breadcrumbs on the kitchen counter grew into a little carpet. I tried to trim the tufts and wash away the crawling maggots, but Carral cuddled up against me, took the washcloth and the scissors from my hands, and shook her head. But nothing was done, and Carral seemed fine about it. She no longer thought the insects were gross. She let an ant crawl over her hand in peace while reading Moon Lips, and she didn’t move when one of the white spiders crawled over the hollow of her neck. She just sat there with an index finger on her lips, reading. The next time I looked up from my book and over at her, the spider was gone and her mouth half-open. I kept going to lectures, and every time I left, it felt like I crossed a threshold between dream and reality, sleep and wakefulness. Outside was cold and clear, and returning to the flat at night was like entering a vast warm cocoon. Carral seldom left anymore. Increasingly she had become part of the damp brewery heat. Her temporary job at Sachs & Sachs had ended, and she had not found a new one yet. ‘I might travel instead,’ she said when I asked her what she was thinking of doing. ‘South. I’ve saved up some money.’ But she stayed at home and made me go to the shop and to the post office to pay our rent and electricity. She would often sit by the window on the open mezzanine, as if she was guarding the brewery and couldn’t leave her station. She didn’t mention her plans to travel again. But she looked after me too: more often than not, I would wake up with her body next to mine, moist and milky. This is an edited extract from Paradise Rot, a novel by Jenny Hval. Out now and 30% off when you buy through out website.